Qinghai Statistical Yearbook 2014 is an annual statistical publication, which reflects comprehensively the economic and social development of Qinghai . It covers data for 2012 in various aspects of economic and social statistics, at the same time, increases information of resources and environmental changes reflected economic and social harmonious development. The Yearbook contains twenty-five chapters : Special Articles, General Survey, Resources and Environment, Population, Employment and Wages, People ‘ s Living Conditions, Price Indices, Energy Production and Consumption, Investment in Fixed Assets, Finance and Insurance, Agriculture, Industry, Construction, Transport, Postal and Telecommunication Services, Domestic Trade, Foreign Trade ， Economic Cooperation and Tourism, Science and Technology, Education and Culture, Public Health and Sports, Other Social Activities, General Survey of cities,Monthly Data, Main Economy Indices and Order of the Different Parts of the Country and Main Economic Indicators in Autonomous Regions. Notations used in the yearbook ：“…” indicates that the figure is not large enough to be measured with the smallest unit in the table; ( blank space) indicates data are unknown, or are not available; “#” indicates a major breakdown of the total. When readers use statistical information, they should be based in this Yearbook if there is difference from this Yearbook. The “Yearbook” is outcome of joint efforts of Qinghai Bureau of Statistics and Survey Organization of National Bureau of Statistics, is fruit of the hard work of majority of statistics cadres on all fronts of the province, and is the crystallization of collective wisdom. In editing and publishing, printing, distribution process, the yearbook has received great support from China Statistics Press, many units and comrades. We acknowledge their help to the book. 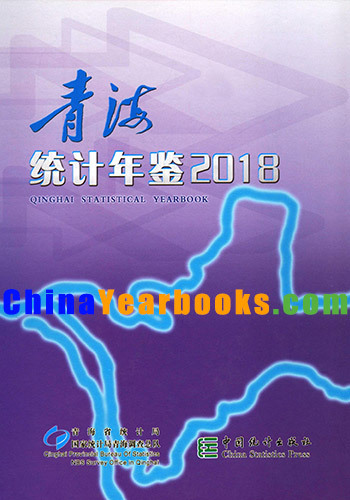 Qinghai Statistical Yearbook has received concern and support of the readers at home and abroad for the content and edit of the Yearbook of many valuable suggestions since published, which we are grateful. Because of our limited level, Mistakes are inevitable. Welcome people from all walks of life to give us the criticism and correction for our inadequacies at any time in order to help us further enhance and improve the editorial level of statistical yearbook, and served readers better.